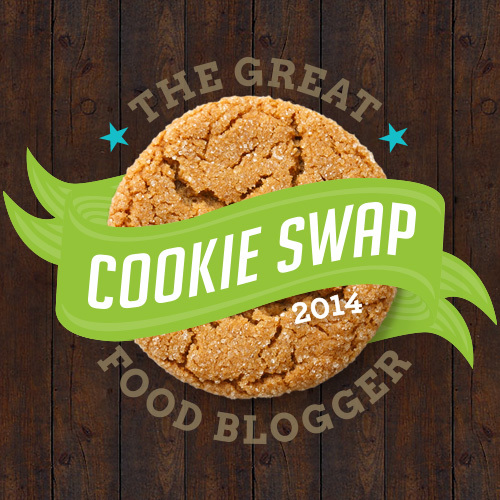 Since the end of The Great Food Blog Cookie Swap in 2013, I've looked forward to the event all year! What better way to get in the spirit of the season than by baking cookies for your fellow food bloggers? With sponsors like Oxo and Dixie Sugar matching up to $3000 in donations for Cookies for Kids' Cancer, we're also baking for more than just ourselves. Many thanks to Love & Olive Oil and The Little Kitchen for continuing to host this event. They also threw in a few treats for us, as well! 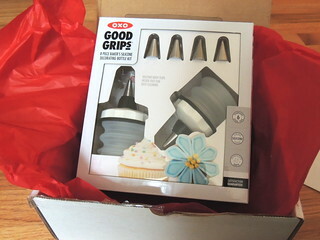 The Oxo decorating kit looks especially awesome, and I can't wait to try it out. This year, I went with a recipe I've made before, but have never blogged about. It's a shortbread type of cookie flavored with orange zest and toasted pecans that isn't too sweet or crumbly, and would hold up well during shipping. The dough comes together easily and isn't difficult to roll and cut out. If you've ever heard of the Archway Christmas Nougat cookie, that's what these are like, only this recipe is called 'Christmas Angel Cookies'. Last year, I didn't do too well with the packaging. 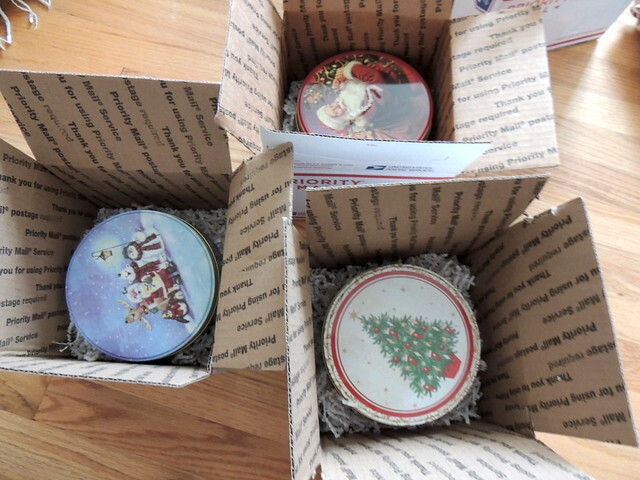 I made up for it by purchasing these cute Christmas tins from the dollar store, lining the interiors with decorative paper purchased from the craft store. I sent these out to Jennifer from Honey and Birch, Sheryl from Lady Behind the Curtain, and Melissa from The Baked Equation. I heard back from two of them and they both enjoyed the cookies! 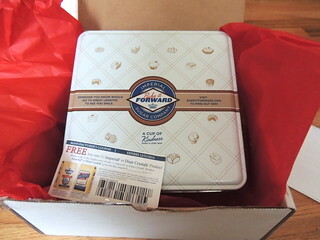 I received Butter Almond Cookies from What Micky Eats, which were incredibly good and had an amazing texture. My other cookie elf was Becky from The Cookie Rookie, who sent Mint Chocolate Brussels Cookies that reminded me of milano cookies, only better. If you're interested in participating next year, subscribe to receive notifications. Preheat oven to 325°F (300°F for convection ovens). In an electric mixer, cream the shortening, powdered sugar, and orange zest for 3 minutes, scraping down the sides from time to time. Add the salt and vanilla and mix thoroughly. Using the mixer’s paddle attachment, mix in the chopped pecans. Add the flour, and mix just until it is thoroughly combined with the other ingredients. On a well-floured surface, with a well-floured rolling pin, roll out the dough 1/4” thick. 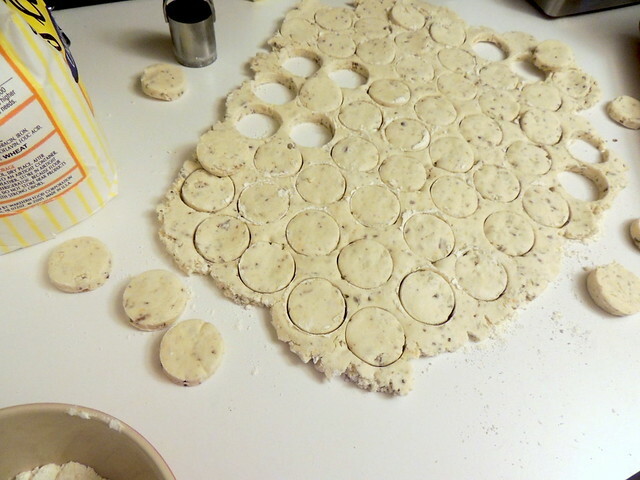 Using a 1 1/2” round cookie cutter, cut out the cookies and place 1/2” apart on a cookie sheet. Bake 8 minutes, being careful not to let the cookies brown (they should still be white when you remove them from the oven). Transfer to racks and let the cookies cool completely. 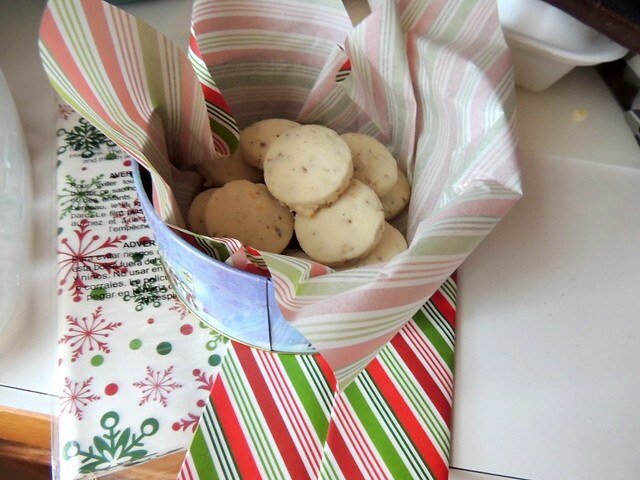 Store Christmas Nougat Cookies in an airtight container. I would come up to North Jersey just for your cookies. Love the cookies. Thanks for putting the recipe together. I am much pleased to find your article here.Well, I’m absolutely delighted I establish it and I’ll be bookmarking it and read-through back over and over again! It is a superb recipe pf the cookies. It is looking so delicious and cookies lovers will really try to this. I was looking some stuff for buy an essay online and get this wonderful cookies here.